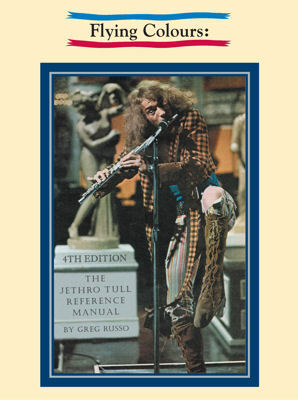 Greg Russo unveils the latest edition of his most masterful work yet - the most incredible band overview of JETHRO TULL ever created. From 1968 to 2011, Tull produced some of the most challenging music ever to emanate from Britain. Ian Anderson, the prime mover in Jethro Tull, took the band into directions that no other musician would dare travel. Find out how the band went from their humble beginning as the Blackpool, England group The Blades to The John Evan Band to Jethro Tull. Besides the stories beyond the songs, this book takes you inside the personalities that have made Jethro Tull such a continually fascinating group of musicians. As expected, Greg's discographies are in full force here, as is the most extensive concert listing ever compiled. As far as Greg Russo's books are concerned, there are none better. Find out for yourself!